Palmer Golf Australia officially takes control of all management rights of the Palmer Sea Reef Golf Course – formerly known as Sea Temple – on 15 February 2013 when the Port Douglas venue’s current management deal with Accor expires on Valentine’s Day. 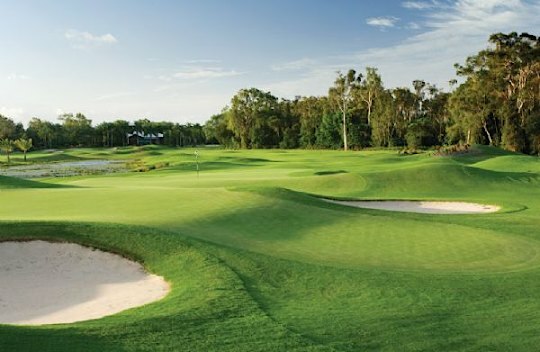 Professor Clive Palmer acquired the facility from the Juniper Group in December 2012, adding to his portfolio of golf courses in Queensland – Palmer Colonial, Palmer Gold Coast and Palmer Coolum Resort. “On February 15th we take sole control of Palmer Sea Reef and there is likely to be an injection of new staff, which is great news for the area,” said Palmer Golf Managing Director, Angie Ison. “That, plus the beauty of the location, makes Palmer Sea Reef one of the premier golfing destinations in Far North Queensland,” she said.